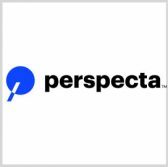 NASA intends to award Perspecta‘s Enterprise Services subsidiary a contract to provide consolidated services to agency information technology end users. Work under the proposed sole-source contract will cover management of the agency’s personal computing hardware, standard software, peripherals and accessories, supporting infrastructure and mobile IT services, NASA said Tuesday in a FedBizOpps notice. The contractor will provide the services at the agency’s headquarters, as well as 10 field centers and other facilities. NASA noted it currently requires a technical IT infrastructure that can facilitate interoperability within programs and across multiple centers. The agency’s shared services center will oversee the procurement effort.